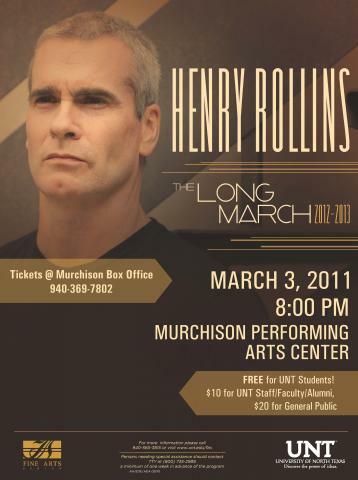 A showcase of original dance works created by advanced choreography students. In the second installment of our "Grow Your Own" series, we talked with Kati Trice, founder of Denton Community Market. Check out what she had to say below. My name is Kati Trice. I’ve lived in Denton for nine years and I’m really in love with this city. How did the community market start? In 2008, I participated in a small group called What’s Your Tree. http://whatsyourtree.org/ From that experience, I was able to articulate and clarify a direction in which for me to best utilize my strengths. I am a creative person, who loves providing a space for people to come together in community and express and share who they are and what they love. That’s what the Market is, at it’s very core. I knew we needed a thriving artist’s market to showcase what is being created in Denton and we needed access to local sustainably grown food. What effect does a Community Market have on a town? The Denton Community Market is a welcoming public space where neighbors can gather together support the artist’s in the community, play games with their children in the kids activity booth, listen to great live music from local musicians, have fresh juice and breakfast taco’s and vegan treats, and of course meet the local farmers and pick up the week’s locally grown produce. A Community Market like the Denton Community Market holds space for people to gather, people that care about sustainability, and supporting local artists and musicians, people who care about where their food comes from and who has grown it. At the heart of it, the Denton Community Market reconnects people to systems that we, as a culture, have for too long been disconnected from. 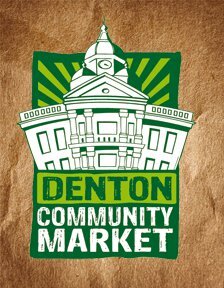 What does the Denton Community Market have that other community markets may not? I’ve visited alot of Markets. They each have their own style. We have grass and trees and a beautiful historic Bayless-Selby house as the background of the Market. But we don’t have a permanent structure to use in the very hot or very cold months. We are also not as pedestrian friendly as many other Markets. Some Market’s have entire public spaces built around them that even include outdoor ampitheaters and pedestrian seating. The public space is used by other community memebers on the days when the Market is not using it. I think this is possible for us in Denton as future infrastructure for the Market. What’s the coolest thing $5 can buy at the market? A vegan barbecue sandwich - with handmade seitan, or a cup of fresh juiced carrot-apple-cucumber-ginger juice and a veggie spring roll, or five minutes of massage, or a basket of the most beautifully colored okra and cucumbers you’ve ever seen. Has the city been supportive? Yes. Especially Jim Englebrecht, Julie Glover, Dalton Gregory, Kevin Roden and with Denton County, Commissioners Andy Eads and Hugh Coleman. What are some roadblocks you’ve run into with the market? What is the selection process like for a new vendor? If you create, grow or process the items yourself, you can sell them at the Market. The steps to being a vendor are located here. How is the Denton Community Market most reflective of our city in particular? The Denton Community Market reflects what is being created in our community: local food, locallly created arts, soaps and jewelry and a variety of artisan products. It also reflects the thriving entrepreneurial spirit in Denton. We have so many new businesses that have come into being because the Market was there as a place for them to try out their new business idea: Denton Vegan Co-Op and Denton Juice Co. are great examples of that entrepreneurial spirit. What does the market need in order to take things to the next level? We need to be a 501c3 so we an secure additional funding sources that will hire a paid staff to coordinate the Market Days. We also need a permanent site that we can expand to include long term infrastructure, like shaded vendor stalls, restrooms, electrical hookups, a water source, visitor seating, and a performance stage. It would also be nice to have an indoor area for use during rain or colder months to expand our market season. What’s been your favorite performer/act that has played the market thus far? Boxcar Bandits. They are this lively folk that feels so right for an outdoor artist’s and farmer’s market such as the Denton Community Market. Who should someone contact if they want to help, sell, or be involved in the community market? What’s one thing you’d like to have at the market that you don’t already? We don’t have a locally roasted coffee vendor, visitors are always asking for coffee. What is your vision as far as where the community market is headed? I can already see that the Market is becoming a place that people want to be, and the community is really appreciating the unique experience that the Market offers. I can see the Market as a pedestrian and bike friendly public space near downtown that has the infrastructure to support the Market’s Saturday needs and is also a diverse public space for use by the community on the other days of the week. The Market itself, is becoming part of the cultural fabric of what makes Denton a beautiful place to live.